Instilled core values, principles and professionalism guide Terrapin Chem-Dry owners, technicians and customer service representatives toward the best decisions for our customers. 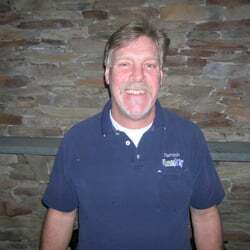 Our values and our focus on providing exceptional customer service help us achieve the goal of providing the best carpet cleaning service in Howard and Montgomery, MD. We are a family-run business that puts our customers first. Chem-Dry is known for quality service and results and Terrapin Chem-Dry is no different. The Chem-Dry brand has been a leader in the carpet cleaning industry for over three decades due to its commitment to excellence and innovation and is currently the largest carpet cleaning company in the USA while also serving global territories. When you choose Terrapin Chem-Dry, you receive the quality and attention to detail you expect from a locally owned small business with the experience and reputation of a trusted national brand. You can count on quality from Terrapin Chem-Dry. Satisfaction is guaranteed! Terrapin Chem-Dry technicians have experience in carpet cleaning, tile cleaning, stone and grout cleaning, upholstery cleaning and cleaning rugs and fine textiles. Our technicians are familiar with all carpet fibers, including Berber, frieze and wool, and can clean fabric materials such as leather and microfiber. Terrapin Chem-Dry also provides expert tile cleaning, including ceramic, stone and marble tiles as well as granite countertops. We have experience with almost every carpet stain you can imagine. Red wine, crayons, ink, lipstick, nail polish, chocolate … the list goes on and on. Terrapin Chem-Dry believes in the importance of educating our staff and our customers. Our staff receives continuous education and training and is certified to provide services on the cutting edge of the carpet cleaning industry in order to offer an innovative carpet cleaning experience to our customers. Educating our customers helps them become more knowledgeable about caring for their carpet, tile and upholstery and provides them with the techniques and tips to maintain the quality of their rugs and carpet during routine cleaning. Terrapin Chem-Dry guarantees a carpet cleaning service that will amaze and delight. Green-certified products will be applied expertly with care. Carpets will dry faster than any other method and no sticky or dirt-attracting residue or chemicals will be left behind, keeping families and their pets safe in their home. Terrapin Chem-Dry promises to provide a carpet cleaning service that delivers expert results and outstanding customer service. Our green-certified products are applied with care and focus and carpets dry faster than any other method. We leave behind no sticky residue or chemicals and keep families and pets safe in their home. Drier. Cleaner. Healthier® is our slogan and it is our promise to our customers.